Victrex plc (LON:VCT), an innovative world leader in high performance polymer solutions, today released its first quarter (Q1) Interim Management Statement ahead of its Annual General Meeting (AGM) being held today. With expected end-market headwinds, tougher comparatives, some de-stocking and adverse currency, Victrex saw a weaker start to its 2019 financial year. Overall, Q1 revenue of £64.1m was 18% down on the prior year (Q1 2018: £78.7m), with Q1 Group sales volume of 822 tonnes being 22% down on the prior year (Q1 2018: 1,051 tonnes). Excluding volumes for the large Consumer Electronics contract, core business volumes were down approximately 13% during Q1. Q1 headwinds were predominantly in Automotive and Consumer Electronics markets, principally the ongoing slowdown in Automotive and the associated impact on Value Added Resellers, which sees volumes indirectly supplied to Automotive. As expected, Q1 also saw no volumes supplied for the Large Consumer electronics contract, versus a strong comparative last year. Pleasingly, January and February saw an improvement, with a notable pick-up in Automotive sales. Our pipeline of new products remains strong. In Gears, we passed advanced prototyping with a major global car manufacturer, ahead of a second, and larger, supply agreement for PEEK based Gears. This opportunity is expected to start in the second half. Whilst cars and light vehicles remain the focus, we have opportunities for PEEK Gears in other modes of transport, with two smaller supply agreements now in place. In our Medical mega-programmes, following submission of the clinical trial for the Knee programme, our partner Maxx Orthopedics is now ready to commence patient recruitment. Victrex made two small investments during the period, supporting development of our Polymer & Parts strategy. A small equity investment was made in UK-based Surface Generation Limited, to form a partnership utilising potentially state of the art manufacturing processes, which will support Victrex’s mega programmes. The PtFS (Production to Functional Specification) technology offers the potential for enhanced manufacturing effectiveness beyond standard moulding technology, including driving reductions in energy consumption and cycle times required to process the most complex material and part combination. The Group has also invested in Bond 3D High Performance Technology BV, a Dutch company developing unique, protectable 3D printing (Additive Manufacturing) processes which are capable of producing high strength parts from existing grades of PEEK and PAEK polymers. The investment offers the potential of utilising this technology to help accelerate the market adoption of 3D printed PEEK parts, with particular emphasis on the Medical market. 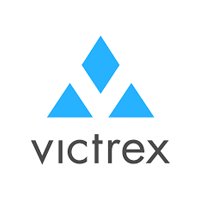 Victrex retains a highly cash generative business model, with no change to its financial position since 30 September 2018. Currency, raw material and energy cost inflation remain modest headwinds for 2019, although these will fall predominantly in the first half. Jakob Sigurdsson, Chief Executive of Victrex, said: “Although Q1 is always the seasonally weakest quarter for Victrex, this quarter has been slightly weaker than anticipated, driven principally by the slowdown in Automotive, the associated impact on Value Added Resellers, and some de-stocking. Q1 also saw expected headwinds in Consumer Electronics, together with strong comparatives and adverse currency.